"Tablets for industries and the Internet of Things: A Winning form Factor"
With a managed tablet solution in place, enterprises empower professionals to move more freely and ultimately produce better outcomes. The opportunity for tablets to change the game for service workers, and improve the bottom line of the companies that employ them, covers any industry where processing power, data security, and remote worker management are paramount. 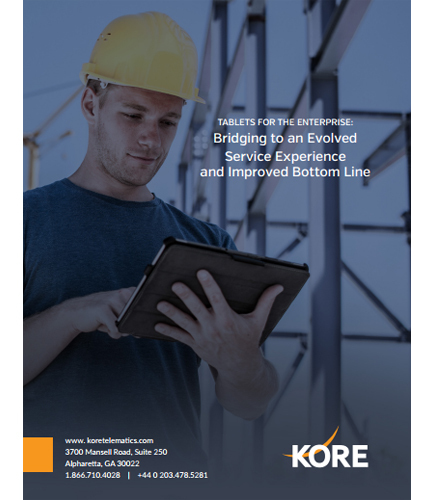 In this whitepaper on “TABLETS FOR THE ENTERPRISE: Bridging to an Evolved Service Experience and Improved Bottom Line,” learn how a variety of enterprises are using tablets to transform the way mobile work gets done. Leverage the power, security and convenience of tablets for managed mobile connections in the field.